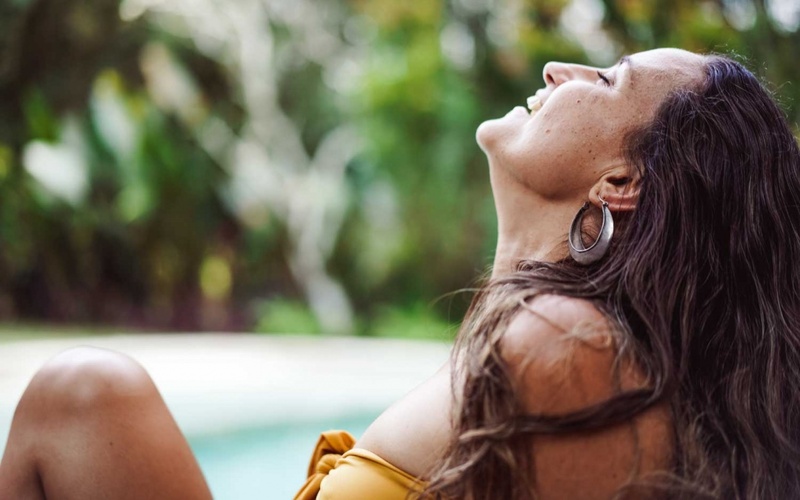 It was only at the beginning of this year (Feb 2018) that I connected to myself and my body in a deeply healing way. I started to massage my breasts. 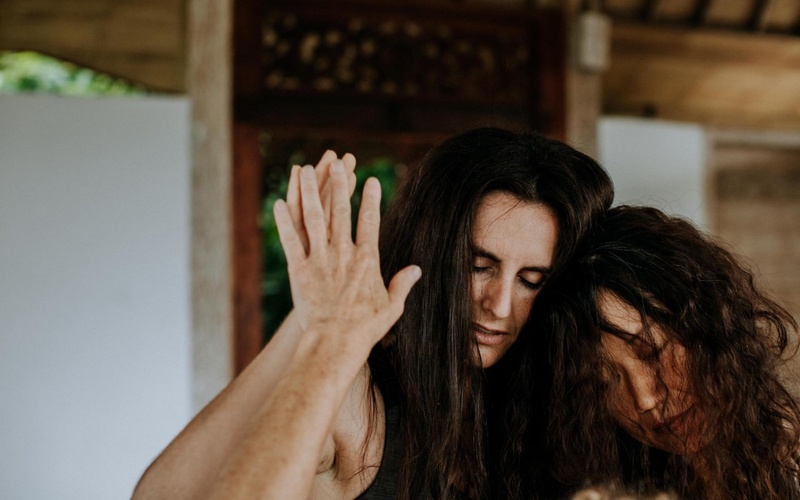 It only took a week before breast massage became part of my daily pleasure practice, a way to connect to myself. It's my time to tune in and drop out of the 'real world', a time to feel, really feel my body and give it LOVE, the love it is so deeply craving and yet so barely receiving. 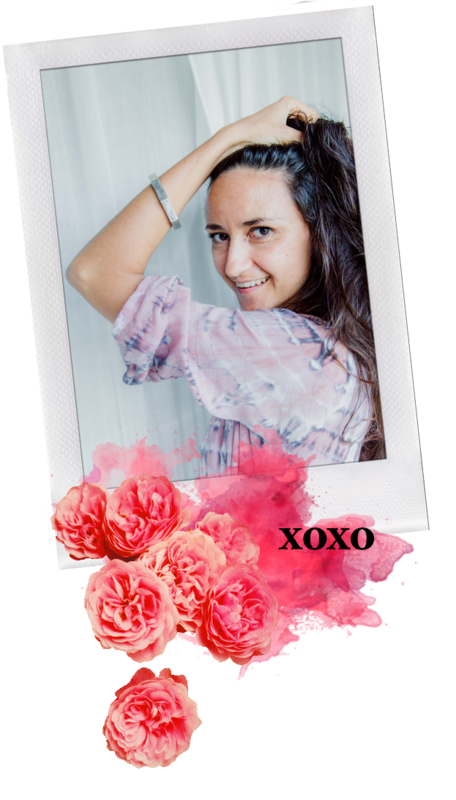 I will share with you the practices I do in my pleasure practice breast massage in other post, but in this post I wanted to share with you my recipe for my sensual self love body oil. 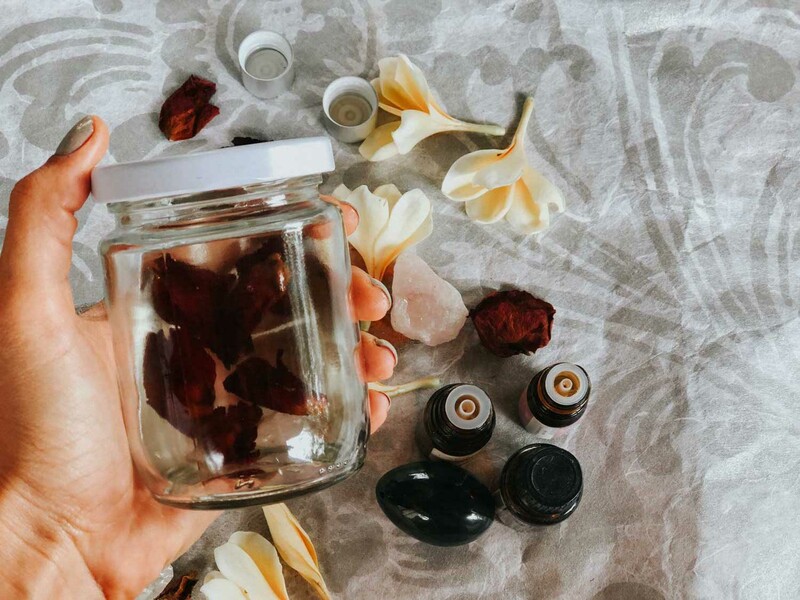 Because I am such a fan of SMELLS (and essential oils are my #1 go to for healing scents) I started to craft together some concoctions to make my coconut oil sensual and divine. 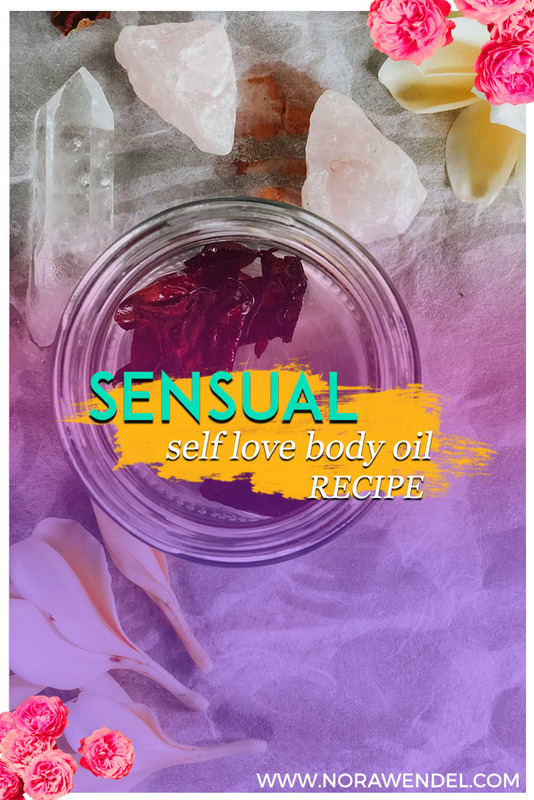 Below is my recipe for my FAVOURITE sensual self love body oil. 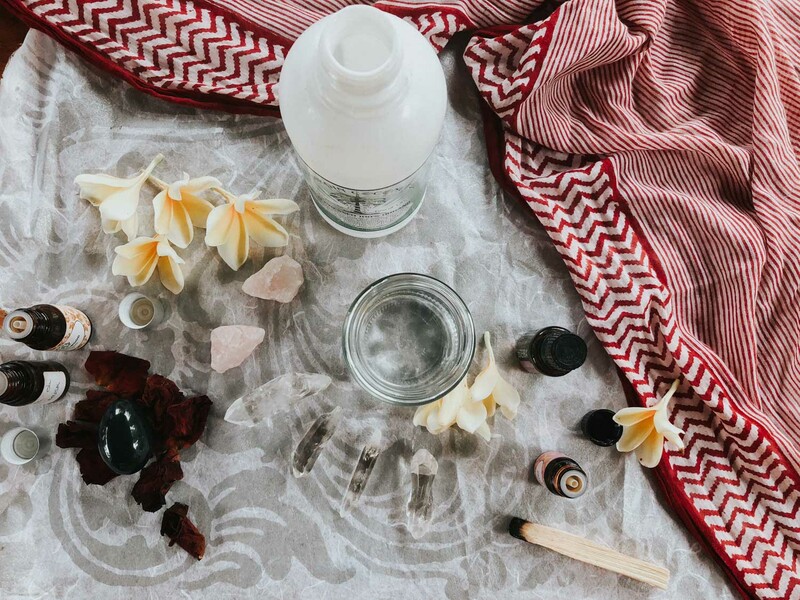 I add in a few extra elements to make the oil a sacred potent intentional healing elixir. 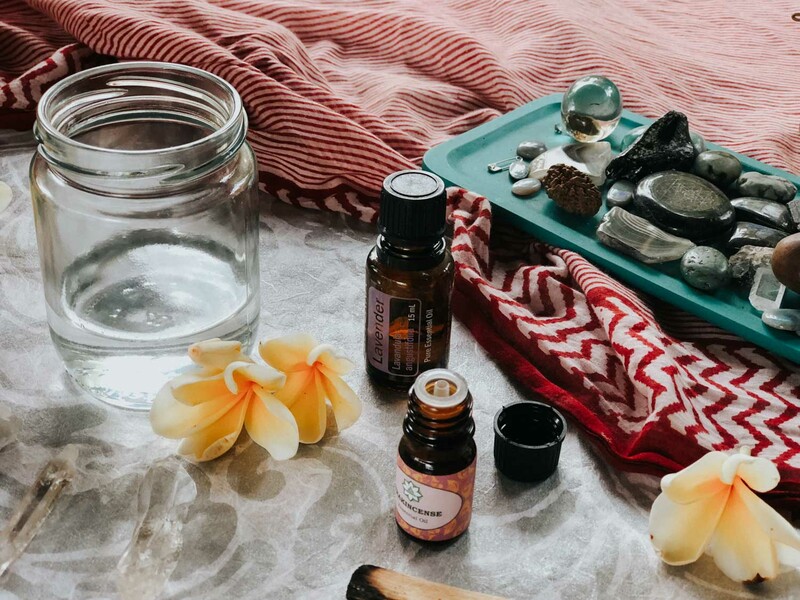 You can add in anything you want into the oil, things that have meaning for you, things that will make you feel even more divine than you already are! 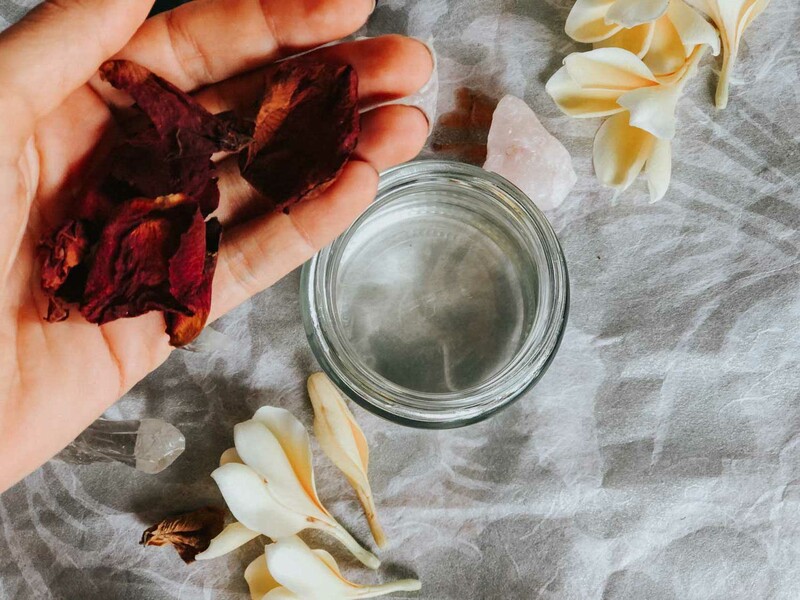 Add in your sacred elements, I add in a handful of dried rose petals and a small rose quartz. The oil lasts for around a month or two before it may smell slightly rancid (the oxidation does this). I make smaller batches so I can keep the smells alive! There you have it! My recipe for my sensual self love body oil. I would love to know if you made it and how you found it! 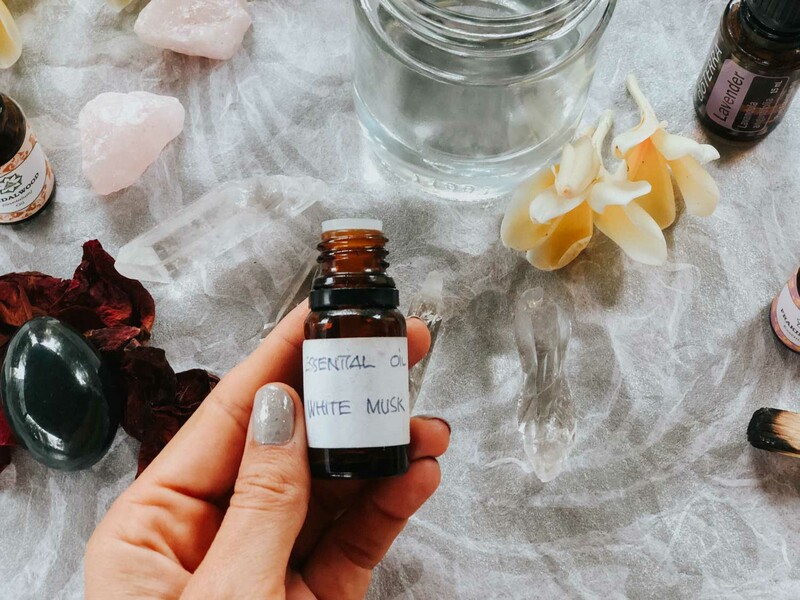 Also do you make your own body oils? What are your favourite smells and what do you use? I love finding out about other people's secret ingredients.